Sometimes social media leads me to feel things I would rather not feel. For this reason, I try to avoid social media around holidays like Mother’s Day and Father’s Day because I know that I’m going to see things that will make me angry or upset. Still, there are posts about great mothers and fathers all year round, and I can’t avoid social media forever. I don’t take most posts personally. I do when someone says something like you must honor your mother because she’s the only one you have. Unfortunately, I’ve seen my fair share of these posts and experienced many people carrying this belief in real life. I used to shut my mouth and quietly seethe on the inside. Then I started answering back. No, mothers need to earn honor and respect. No, being a mother doesn’t automatically make you a good person. It still amazes me how unreceptive people are to the reality that mothers are not all good. Many people shut me down. Most just ignored me. I hope that I got through to at least one person. If so, my battle was worth it. It’s difficult to fight against something that is still reinforced so strongly in society. The less direct posts about parents just make me sad. They are a reminder of what I missed throughout childhood. I came across this post on my Instagram last week and had to stop myself from getting emotional. I needed a super hero. So many times as a child, I wished that Superman would come and take me away from my mother. 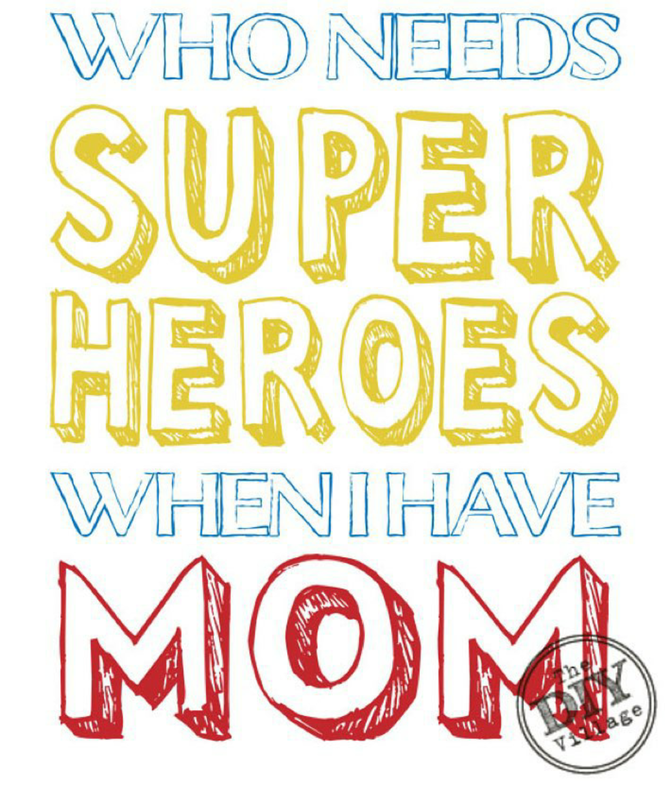 My mom was never my super hero. She was the villain I needed to be protected from. She was the evil that needed to be fought against. She should’ve been my hero, but she wasn’t. I never had the chance to feel safe and protected. Why couldn’t she just be my super hero? Why couldn’t my father? Why did my world have to be full of villains? I feel like I’m constantly going to be grieving the loss of the family I never had. There are always going to be reminders of it: any time I see a parent hugging their child, any post on social media glorifying a mother or father, each holiday I spend without a family. There will always be that piece of me missing, my point of origin. Sure, I can build my own family, but it will never be the same as what I should have had from the beginning. My way of handling the grief, emptiness, confusion, and overwhelming pain of my family’s cruel treatment of me, especially my mother’s, was to become the Perfect Mother when I had children of my own. Over the years I had many of their friends ( and their friends’ parents) ask me to adopt them or ask if they could move in. Their friends all wanted to hang out at our house. My grown children have written me beautiful letters telling me how different their childhoods were from the lives of their friends and thanking me for the wonderful memories they have. They all say they want to be a mom just like I was. I’m telling you this not to boast or brag, but to realistically tell you that there was a definite down side to this kind of life. While they lived happy childhoods, I lived with constant guilt, pressure, and stress that I was failing them the way my parents failed me. My eating disorder raged out of control (which as the Perfect Mom I hid from my kids), I continually tore myself down because there was always more I could be doing, and while my family was still a part of our lives my parents let me know what a horrible mother I was. I always put my kids first instead of putting my husband first, which thankfully he understood. Of course I lived with additional guilt for being a bad wife for trying to be the Perfect Mother instead of the Perfect Wife. By the time my last child was finishing up high school the Perfect Mother had a perfectly ugly breakdown from the abuse of the past along with the long list of chronic physical pain disorders, the list of emotional disorders, and the exhaustion of putting on my Supermom cape every morning. I still haven’t recovered from my breakdown and I’m already struggling to fit into my SuperGrandma tights and heading for my next breakdown.